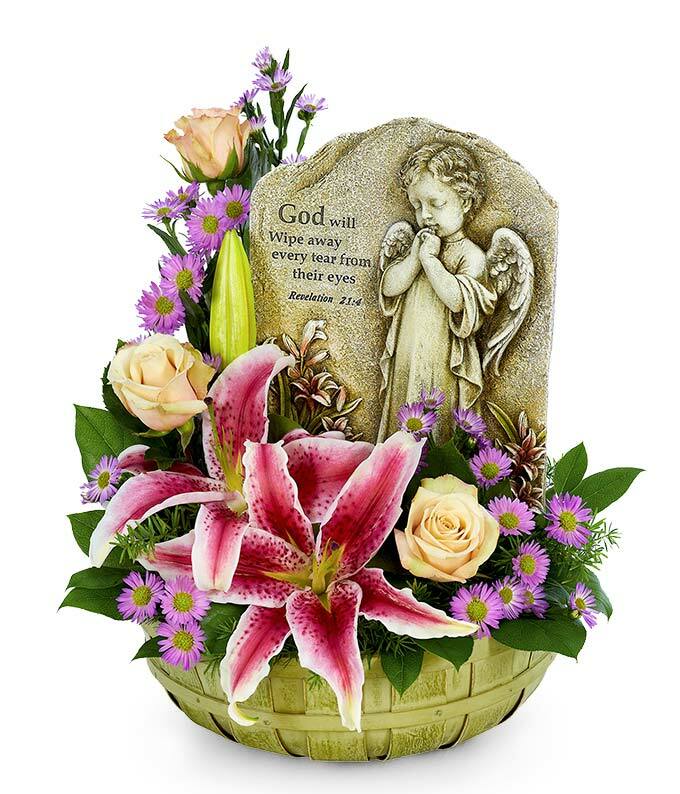 Send your deepest condolences for the loss of a loved one with this Praying Angel Tribute Basket. Cream roses, pink stargazer lilies, and purple monte casino are combined together in a bushel basket. Your thoughtfulness is underscored by an angel statue stone, which may vary depending on florist availability.